I’m sitting in my room as I write. The doors to my balcony are open and I feel at one with my immediate environment. I can hear the sounds of birds and the occasional utterance of an unknown animal. The vista is superb and I don’t think I will ever forget it. Soft clouds are forming into storm formations and the giraffes parade in a line across the Mara, their elegance begs you to watch. 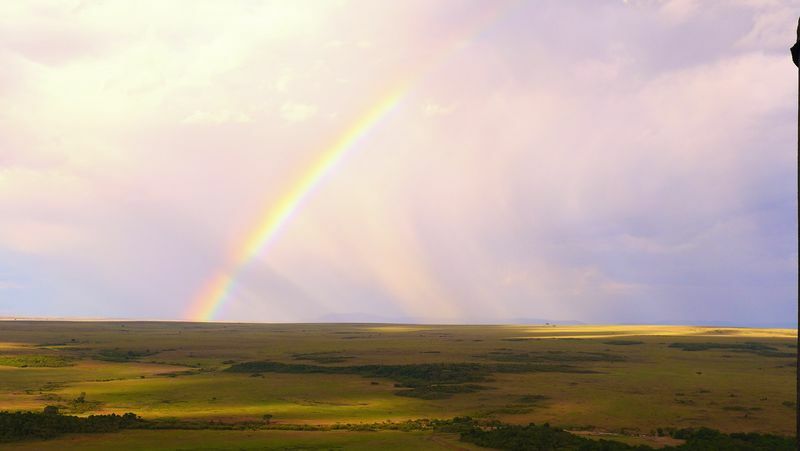 A rainbow has formed and I get an overwhelming feeling that something special is happening or about to happen. 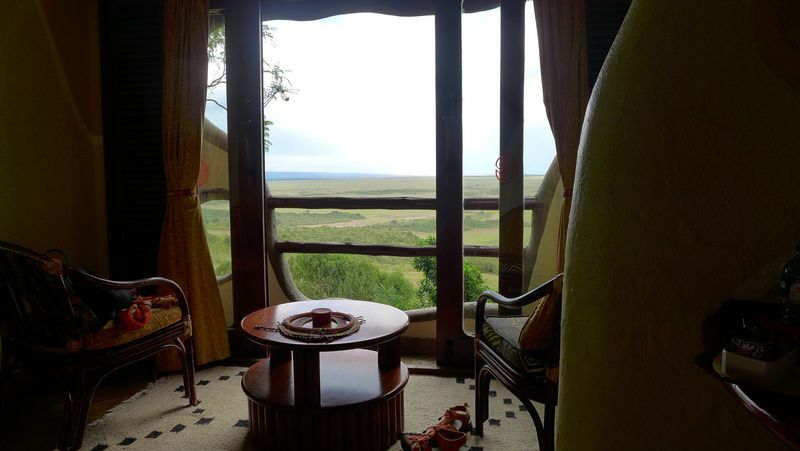 This is our last full day here in Maasai Mara. I stayed behind from this afternoons safari to catch up on work and have a little quiet time to myself and its been wonderful. With the help of our Assistant Duncan, we negotiated too visit a small village not far from here. 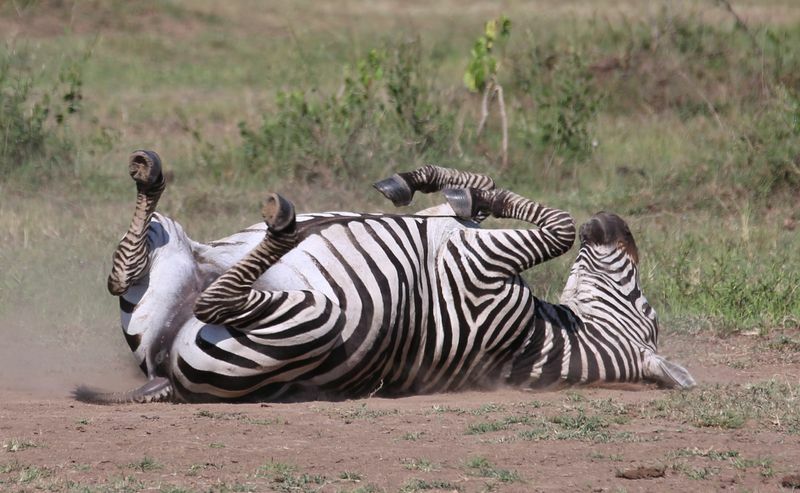 We encountered a huge lion, and literally thousands of zebras in migration. The scene is unparalleled and I never get tired of photographing. Our vehicle was the first to the village and we were met by Ben the head-mans’ son. He explained to us that the village moved from place to place in a nomadic existence as it had done for centuries. Ben was most eloquent and interesting to listen to as he shared information on the daily life of the villagers. He shared how the men made fire with friction… it took just a minute or so. Suddenly a long line of red clad men wove their way down the hill and began singing in the most intriguing way. They formed a line of red, purple and orange and sang and danced to welcome us into their village. They leapt high in the air and the smiles of their friends were infectious. 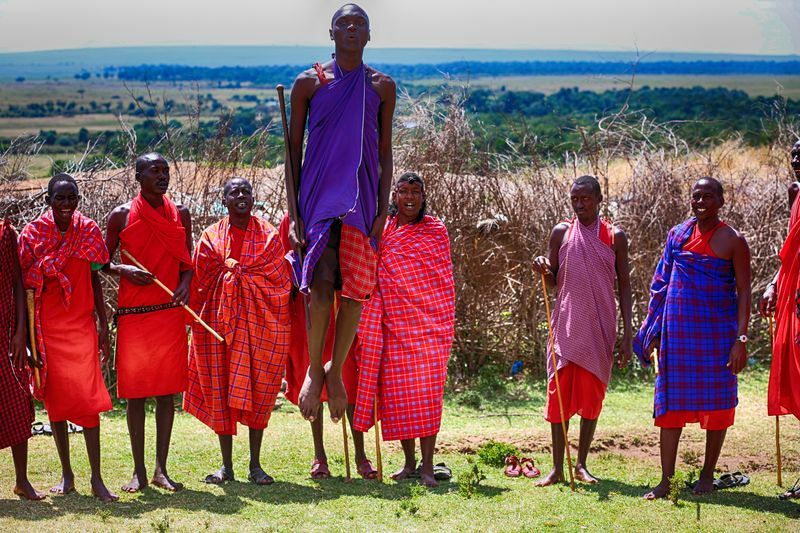 Maasai music traditionally consists of rhythms provided by a chorus of vocalists singing harmonies while a song leader, or olaranyani, sings the melody. The olaranyani is usually the singer who can best sing that song, although several individuals may lead a song. It was exciting and we were invited to join, we looked more like beached whales in comparison to the than lithe dancers but never the less it was an amazing experience. We entered the boma through a short opening in the surrounding fence made of branches. We were told that each of the five chiefs had their own entrance. On the other side was a circle of huts all facing the center It appeared that cattle would be corralled there during the night. 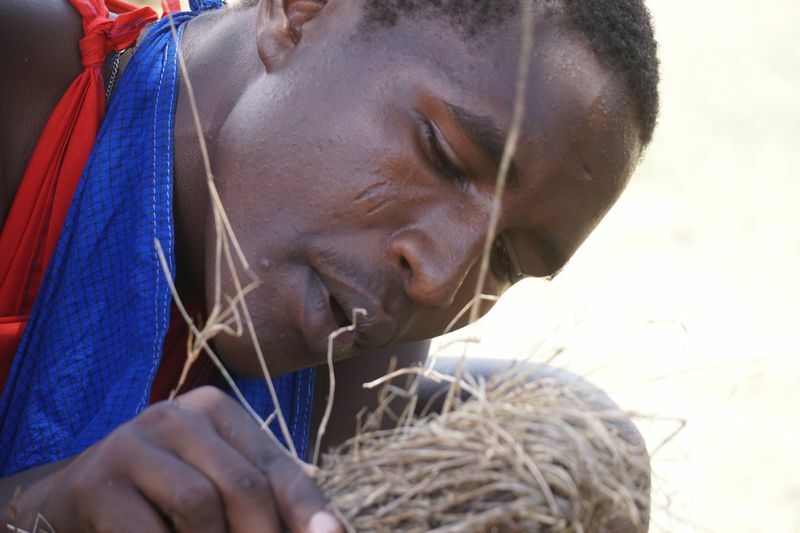 The huts, Ben explained, were made by the Maasai women from interwoven tree branches plastered with a mixture of cow dung and mud which made them waterproof. They were incredibly tiny. We had to stoop to enter the small doore and It was almost completely dark inside with just the smallest opening for light and ventilation. They were surprisingly cool during this the heat of the day. We could stand upright, but just barely. Surprisingly, there were 4 rooms in this hut! It was so dark, I couldn’t make out much detail, but there was a cow hide on the floor of the master bedroom. There was no electricity and no running water in the entire village. I had requested that our group would like to see how they beaded their necklaces and so several women ad down with their new Maasai friends and learned the technique. It was a magic moment. Next, the Maasai women sang a greeting to us. We felt honored by their song, although we couldn’t understand the words. Then they pulled us into their group and placed necklaces on us our ladies really enjoyed it. Small children hid around the square house corners and appeared in doorways. Their smiles infectious and I tried not to be too invasive with the cameras but it was so tempting. The women had set up a large circle of display tables from which we could view their work. I walked from one to the other and my plan was to buy a wedding necklace for decoration at home. They are beautiful works of art and will compliment my ever growing art collection. I’m having difficulty adding photos to this blog so you will find the rest in my FB page. Yes, this was a lifetime adventure. The colors of the grasses were awesome. What a variety of landscapes we had. Thanks for sharing your pictures & talents.